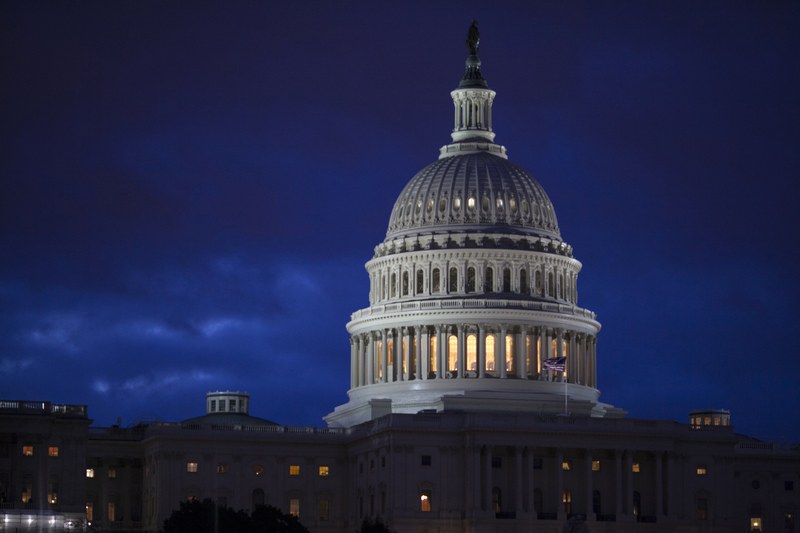 WASHINGTON (CN) – The Senate on Thursday passed a $1 trillion spending bill, pushing off the threat of a government shutdown to the end of September. The vote was 79-18. The $1.07 trillion package, which includes $1.5 billion for border security measures and bumps up defense spending by $25 billion, passed the Senate just a day after the House of Representatives voted in its favor. Congress previously adopted a one-week resolution that kept the government open while negotiators hammered out the final details of the longer-term deal. The bill does not include any money for President Donald Trump’s requested border wall, a concession the White House made last week as the prospects of a government shutdown became more real. The Trump administration has insisted that it will press for Congress to fund the wall across the southern border when it comes time to revisit government spending at the end of September when the agreement runs out. The agreement Congressional negotiators reached earlier this week delivers modest wins to both sides, with Republicans able to claim victory on measures like increased border security dollars and Democrats trumpeting their work to ensure those dollars don’t go to a border wall. “Because of hard work from both chambers and both sides of the aisle, we have a funding bill before us that can make many important and positive impacts in the lives of the people we represent,” Senate Majority Leader Mitch McConnell said on the Senate floor on Thursday. The bill also provides an extension of health benefits for retired coal miners that were set to expire along with the short-term funding deal at the end of the week. Congress will have to revisit the spending battle in September, when the spending bill passed on Thursday expires. President Donald Trump brought that distant deadline a bit more urgency this week when he took to Twitter to bemoan the Senate rules that required Republicans to give Democrats concessions in order to earn the 60 votes necessary to advance legislation. “Our country needs a good ‘shutdown’ in September to fix this mess,” Trump tweeted on Tuesday.